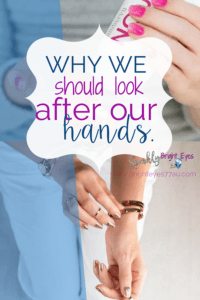 Why we should look after our hands. You may start your day with a rigid beauty regime…cleanse, scrub, moisturise, foundation, colour, lipstick. (There may be even more steps in there, but that’s a kind of basics for some people). But unless you spend the rest of the day in front of a mirror or taking endless selfies, then you really won’t look at that end result many more times again for the day. Your hands meanwhile….you will probably see them countless times! Making your morning cuppa, on the steering wheel on the drive to school, when sitting in yet another meeting, eating your lunch. Your hands are always there within your sight. So why don’t we look after them just as well as we do our faces? Read on for some hand care tips and why we need to look after our hands. Our hands, like our faces, also need some tender loving care or they will show our age just as much as our face can do when left unpampered. Some of the things they will need are a good exfoliant to remove those dead skin cells, a moisturiser for replacing the moisture that water takes out of the skin and oil to help keep those cuticles and nails hydrated! (Read more about the importance of moisturising here). And when you’ve finished looking after all that for your hands, why not show off your own personality with some colour on those nails. Pop on some lacquer or wraps for a quick touch, or go for a gel enamel if you have a bit more time up your sleeve. Subtle pinks for those who just like a touch of colour, all the way to outrageous designs and prints for the bold at heart! There is usually always something you will be able to find that expresses who you are. If doing some fancy designs with your lacquer, this may come in handy to keep it all neat. So why not treat yourself today! 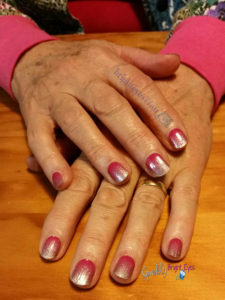 Look after those hands, as they do so much for you…don’t they deserve to be the centre of attention every now and then! I know mine do! If you’d like to learn more about looking after your hands, why not come follow my Pinterest board on skincare.